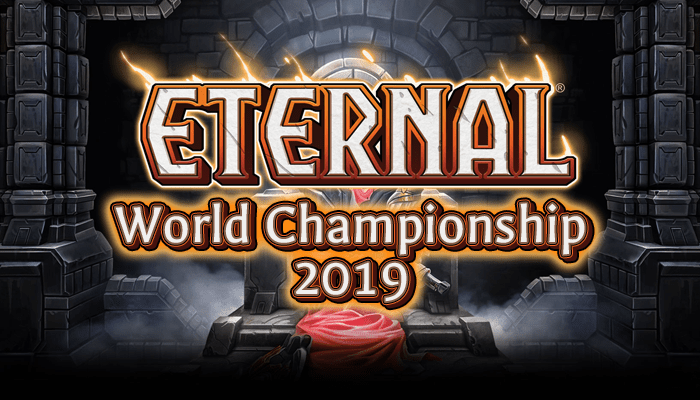 The ETS World Championships are the single most important tournament in the Eternal Tournament Series, bringing the best and most successful players from a whole year of play together for one huge two week tournament. With a prize pool of $3000 and a first prize of $1000, there’s more than just fame and prestige on the line. Let’s not forget that the player who emerges from Worlds with the most Series Points will also be crowned Player of the Year! The World Championships are still almost four months away, but there’s just over a single season left to qualify! Five of the fifteen direct invite slots have already been claimed, with two more to go to the winners of the Season 5 and Season 6 Invitational. Let’s take a look at who’s already going! Winner of the first ever ETS Invitational, Toth201 hasn’t slowed down with an appearance at every single Premiere tournament so far and a pair Top 8 showings to go with his win. He’s a Premiere specialist known for his Season One Shimmerpack list and his pet Icaria Gold deck. He may not be a Weekly Warrior but he always wins enough to qualify, and once he gets down to business he’s tough to stop. iReedMinds cruised to victory at the Season Two Invitational, then took a long break from tournament play until the Midseason Major. Omens of the Past looks to have reignited his competitive spirit, and Reed has been playing tournaments once again. He’s got his eye on the Season 5 Invitational as another title to add to his collection. Our overall points leader, Angrychicken’s Big Combrei list was at one time the defining benchmark for many tournament players. In his debut season, he set winrate records and swept the Invitational. His real life commitments have prevented him from participating in too many ETS weeklies, but he still manages to pull out all the stops for Premiere tournaments. Remember how Angrychicken swept the Season Three Invitational? Well, he was poised take down the Season Four Invitational as well, when childroland beat him twice and swept the tournament himself. Flying high, he took down an Event just the weekend before, claimed the Throne, and carved out a name for himself. Being Chicken’s “sweeping” successor is a tough role to fill, and he’s been a bit quieter this season, but he’s poised for another big run at the Season Five Invitational. KampfKrote is a legendary dark horse player who plays the role nearly to perfection. Rarely playing tournaments, he always manages to qualify via points or Last Chance Qualifier, then takes the event by storm with a relatively straightforward aggressive strategy. So far in Premiere tournaments he’s played in, he’s 3 for 3 on Top 4 or better. Not a bad showing for a guy who only shows up when there’s money on the line! How can I go to Worlds? The ETS World Championships page contains in-depth explanations of exactly how worlds invitations work, but you’re looking for a condensed version. For simplicity’s sake, I’ll assume that you’re starting from nothing and have not yet played an ETS tournament. Let’s look at all the ways to go to Worlds! Invitational winners earn direct invites to Worlds. Qualify for the Invitational (via points, Top 2ing a tournament, or even the Top 4 LCQ backdoor) and then win it and you’re instantly there! Even if you’re not quite able to pull this off, Invitationals are likely a key part of everyone’s Worlds run, since they’re the best source of Series Points. The Worlds Wildcard Tournament is a sixteen player invitational tournament with the sixteenth and final Worlds invite as the grand prize. The sixteen highest ranked players after all the other invites are sent out will be invited to this tournament for one last chance to go to Worlds. At the time of writing, that only requires 4 points in order to receive a Worlds Wildcard invite, which you can get from Top 6ing a single Invitational. There’s still plenty of time and plenty of points to be earned as players jockey for position – 4 points is a lot easier to earn than 11! Once again, qualifying for invitationals is key in order to rack up series points. If you want to play at Worlds (and who doesn’t) the best method is to play in the ETS as often as possible! Weekly tournament will earn you Invitational Points, valuable experience, and potentially Series Points, all of which will go a long way towards helping you towards your goal. Even if you’re not gunning for Worlds yourself, I hope you’ll join me in cheering these players on as they fight for the ultimate Eternal prize!